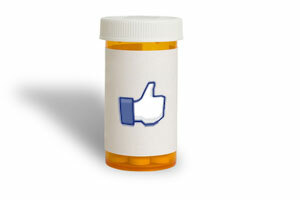 The FDA's just-released draft social media guidance has been more than four years in the making but finally looks to offer industry some substantial direction on its use of digital media. Given that the US regulator's November 2009 hearing on “using the internet and social media tools” encompassed such burning digital issues of yesteryear as Google Sidewiki, it's fair to say the guidance wasn't exactly rushed through. Following up on that hearing the FDA yesterday set out its position on 'interactive promotional media', that is “tools and technologies that often allow for real-time communications and interactions”. These tools and technologies, it explains, include blogs, microblogs social networking sites, online communities, live podcasts, which pharma uses to promote its drugs. The long-awaited draft guidance was, the US regulator said, issued in response to “stakeholder requests for specific guidance on FDA's current views on how manufacturers … can fulfil regulatory requirements for post-marketing submissions of interactive promotional media for their FDA-approved products”. Its guidance notes that “although some interactive promotional media are substantially similar in presentation and content to certain traditional promotional media, such as print media, FDA recognises that in other cases they possess certain unique technological features and offer novel presentation and content features”. In terms of what it covers, the FDA said it will only examine product communications that use interactive technologies which are subject to “substantive influence by firms that market the product, therefore triggering post-marketing submission requirements”. FDA example: If an employee or agent of a firm, such as a medical science liaison or paid speaker (eg key opinion leader) acting on the firm's behalf, comments on a third-party site about the firm's product, the firm is responsible for the content. The regulator also said it wanted to receive all user-generated contact (UGC) that falls within its recommendations for interactive promotional media. But the guidance does acknowledge the need for a practical process that addresses “the potential volume of real-time information that is continuously posted and shared through various interactive promotional media platforms”. Consequently it suggests that, once a month, companies should submit an updated listing of all non-restricted (non-password protected) sites for which it is responsible, or in which it remains an active participant, and that include interactive or real-time communications. Once finalised the guidance will represent the FDA's current thinking on fulfilling the regulatory requirements for post-marketing submissions of interactive promotional media for drugs. It will then add to a growing body of digital guidance from the FDA that so far covers off-label information on social media and a tailored approach to mobile app regulation.